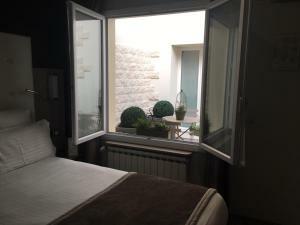 Each air-conditioned guest room at Hotel de la Paix has a refined décor. 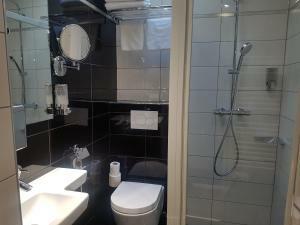 Guest rooms have a private bathroom fitted with a hairdryer. All rooms are serviced by a lift. La Tour-Maubourg Metro Station is 750 metres away, providing access to Place de la Concorde and the Opéra Garnier. Quai Branly Museum is a 10-minute walk from the hotel, and you will find the famous market street rue Cler 250 metres away. An airport shuttle is available upon request and with an extra cost. This air conditioned room features satellite TV, a safety deposit box and free Wi-Fi access. They are complete with an en suite bathroom. Rate: € 193.96 ... € 257.16; select dates below to get current rates. Rate: € 109.00 ... € 512.33; select dates below to get current rates.